We have specialized in new construction custom homes over the last 28 years. We have worked with same loyal, satisfied contractors throughout the area. I Have worked exclusively with Jay for over 20 years. Jay and his crew have always been completely respectful to my homeowners. He uses top quality equipment and I can always count on Him to do a top notch job . His Service is unsurpassed and I would not use anyone else on My Home Construction Projects. I also continually recommend him to those that are interested in Replacing their existing unit. The feedback is always positive. 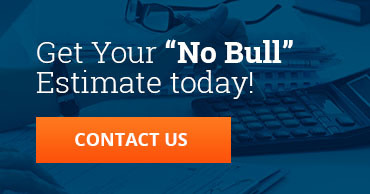 Contact us for your “No Bull” estimate on your new construction projects! I have been using Master Heating and Air for the past 20 + years on all of my Residential and Commercial Projects. Jay, the owner has always recommended the most reliable and efficient units for the job at hand. We have never received a complaint from a Homeowner on the job performance & efficiency of the unit that has been installed by Jay and his crew. The best part of dealing with Jay is the fact that you know he is highly knowledgeable and up to date about his industry . He is extremely honest and is not trying to sell you something you do not need! 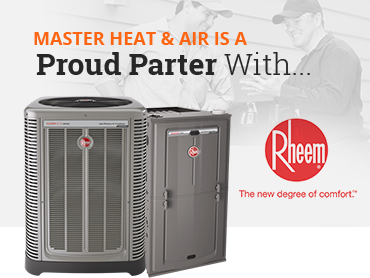 We are fortunate enough to have been working with Master Heating and Air Conditioning for approximately 10 years. They have serviced, repaired, and replaced existing equipment provided by others as well as installing multizone systems in our new construction. We have always found them to be personable and extremely knowledgeable. On top of all this, we find their pricing unbeatable! We wouldn’t use anyone else! I would like to compliment Jay from Master HVAC, he put in two units at both of our units. He was very polite to our tenants and got me an estimate quick even in the HEAT of the summer. I would definitely recommend him and his company anytime I hear that someone needs an air conditioning unit.